Build-ups of dirt, dust and mould can be the cause of many problems, including such health issues as asthma and allergies. It is highly recommended to use professional cleaning services to keep your floors – especially hard floors – sparkling clean and tidy. 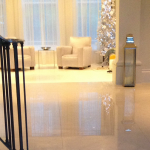 Baileys Cleaning Services Ltd offer the most comprehensive hard floor cleaning services in London, Croydon and Surrey. Our experts are adept at making your floors look fresh and new using the latest cleaning equipment, techniques and materials. Our cleaning experts will use a chemical that penetrates and cleans the grout and removes any soils and stains. 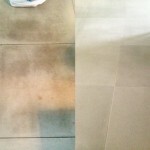 We then use a good quality grout sealer to stop penetration of water and provide optimum protection for the grout. 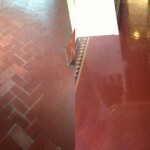 Call Baileys Cleaning now for all your hard floor cleaning and grout cleaning services. We are here to provide your dull and lifeless premises with a fresh, sparkling clean transformation. When enquiring about our hard floor cleaning services, remember to ask about our customer referral scheme where you can get cash for every clean that we carry out with your recommendation.